The nature of UAE’s hospitality industry has changed since Palazzo Versace Dubai entered the market in November 2015. It is a property profoundly influenced by the heritage of the House of Versace, and it has brought to Dubai an archetype of opulent hospitality and intuitive service. 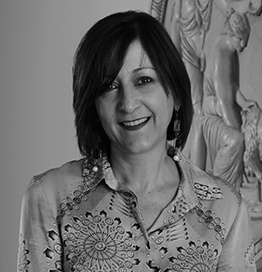 Being associated with the brand since 2000, when Palazzo Versace Gold Coast opened, Sandra Tikal has been appointed General Manager of the hotel in March 2016, at the same time holding the role of Chief Operating Officer for the Hospitality division of Enshaa, the developer of the property. “We are privileged to be located in Dubai amongst the top luxury hotel brands in the world and feel that we complement the luxury market with a unique and genuine fashion branded hotel experience,” says Sandra, who has forged a strong career in hospitality. Under her leadership, Palazzo Versace Dubai received several awards and accolades. The property was awarded the ‘Best New Hotel’ at The Middle East Hotel Awards 2016, The Best ‘Luxury Brand Hotel’ in the Middle East at the 10th annual World Luxury Hotel Awards in October 2016, and also the ‘Best New Hotel’ on the 10th Anniversary of Travel + Leisure India & South Asia. In 2016, Preferred Hotels & Resorts rewarded Palazzo Versace Dubai for the ‘Best New Hotel Opening’ of the year. In 2017, the property received the title of “Best Luxury Hotel” at the Middle East Hospitality Awards. Sandra’s leadership strategy is driven by her immeasurable passion for the Palazzo Versace brand, and the reflection of her experience is visible in its success. “I love connecting with people and guests. I endeavor to lead by example and strive to be very self-aware. No-one is perfect therefore an awareness of when I get it wrong allows me to make it right”, adds Sandra. Before being appointed as General Manager of Palazzo Versace Dubai, she held the same position at the sister property in Australia, from 2000 to 2009. Sandra’s role had been extended in 2005 when she was named the head of Palazzo Versace Global roll out in 2005. With a strong belief that the property’s energy is infused by the Versace brand and equally by people, Sandra has created at Palazzo Versace Dubai a “culture of equality in the workplace.” “We have 51 nationalities and a team from a variety of different backgrounds. We strive to work together as a team with peace and grace. I love to connect with our team many times a day and very sincerely care about their happiness”, Sandra admits. During her 30-year career, Sandra has worked for other established brands such Juniper Development Group, Signature Clubs International, Sunleisure Group and Accor Asia Pacific.